SAY HELLO TO NAKED FACE YO ! What's your passion ? What's your hobby ? I like DANCING like ofcourseduhhhhhh ! 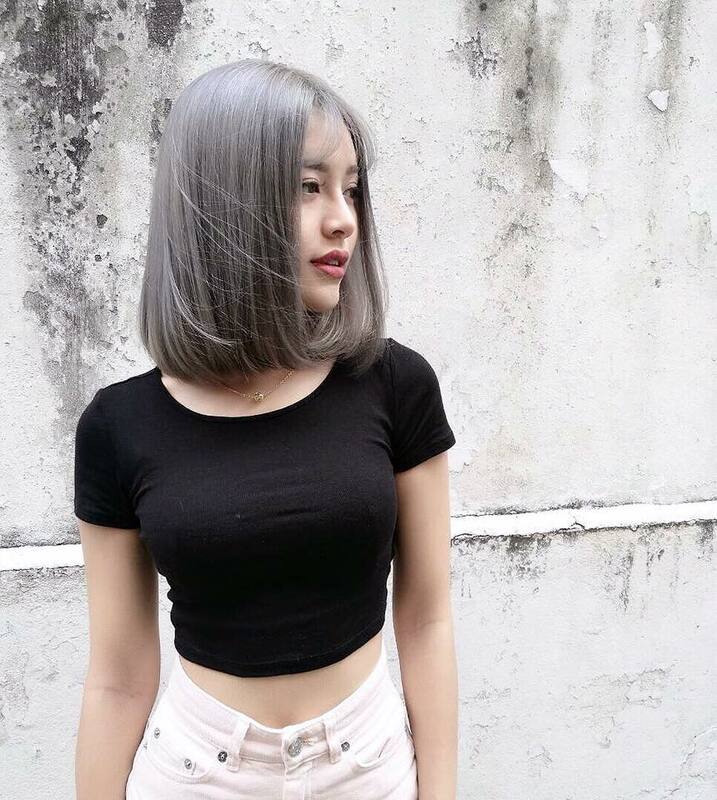 Well enough of that , actually I want to share something different here besides than my post about my shopping and events . Here is something different and new which is come and join me to enter the Axiata Cup 2013 - Up Your Game Challenge ! Axiata Cup is a regional badminton event, now in its second year, sponsored by the Axiata Group, one of Asia’s largest telecommunication companies. The Axiata Cup, featuring top players from around the world, is the richest badminton championship with USD1 million in prize money. The Axiata Cup will include 8 teams from ASEAN and Around the World. The championship is sanctioned by the Badminton Asian Confederation (BAC) and the Badminton World Federation (BWF), and organised by Total Sports Asia (TSA). This year, the Axiata Cup will be using a 4-match format which includes 2 singles (men’s & women’s) and 2 doubles (men’s & mixed) per tie which gives more teams an opportunity to win. Each team will consist of up to 8 players and teams may field up to 2 foreign players each—this means that even lower ranked teams can recruit the world’s top talent to boost their chances against the top teams! At the 7th Annual International Sports Event Management Awards 2012, Axiata Cup was awarded with the 1st place in the Event Marketing category as, with help of creative marketing campaigns and an innovative event format, it made its mark as a competitive addition within the sport of badminton and also helped to further promote the sport. 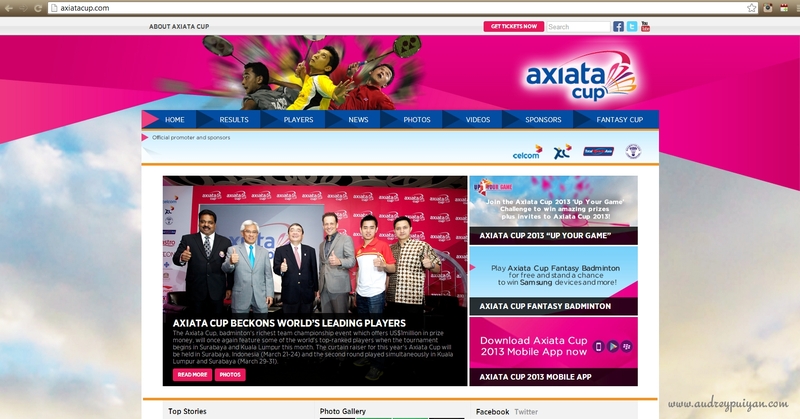 In 2013, Axiata Cup is taking the sports of Badminton onto a whole new level, as we will be embarking into digital campaigns to further spread the news and action of the competition. Social media will play an integral role in the promotion of the sport, as there will be various exciting and fun activities for fans to be involved in on Facebook, Twitter and YouTube. As part of our commitment to the digital platform, Axiata Cup will also be the first to use the innovative virtual branding at all Axiata Cup matches. I'M READY FOR THE CONTEST ! Simply produce a VIDEO that shows your passion for badminton that is in line with the Axiata Cup 2013 tagline , " Up Your Game " . Whether you are a skilled badminton player or just a fan , think OUTSIDE THE BOX and show them your meaning of " Up Your Game " in badminton ! Here's the video to blow your creative mind for more ideas ! The amazing part is their attractive prizes ! held in Kuala Lumpur, Malaysia on the 13th and 14th of April 2013.
and gifts from Axiata and sponsors of Axiata Cup 2013! All submissions will be shortlisted and fans will get to vote for their favorite videos. And the video with highest voting points will be declared as the winner on the 9th of April 2013. This contest opens from 18 February with submission closing by the 25th of March 2013. 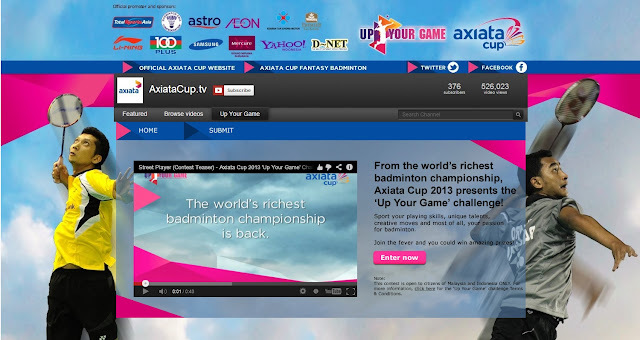 Upload your video at www.AxiataCup.tv! Do not miss this awesome opportunity ! Let me show you what I did for my " Up Your Game "
I love dancing , YES ! Even some cheerleader's move ! HEY I JUST MET YOU & THIS IS CRAZY ! Enjoy my video & hope you get INSPIRED !